Gymnastics may not be a very famous sport in India, but it sure is in the state of Tripura. Most of the schools there have their own gymnastics centre, and children are trained for free at many community centres. One such child grew up to be Dipa Karmakar, India’s first female gymnast ever to compete in the Olympics. One wrong move and Karmakar could die on the spot, but that’s what being an artistic gymnast is about. Karmakar is one of the only five women who have successfully landed the Produnova, the most difficult vault currently performed in women’s gymnastics. Every success story has a humble beginning, and this one started in one of the poorest states of India. With a lot of people in Tripura living below poverty line, sports is a way to keep children employed and even keep them out of poverty and mischief. Though there are a lot of aspiring gymnasts in the state, the conditions make it a struggle to start learning and continue with the training. The gym in which Karmakar was trained used to get flooded during rains, and there would be rats and cockroaches all around. The first vault she was trained on was made with the parts of an old two-wheeler. The next gym she joined did not have proper equipment initially. It didn’t even have a vaulting table, so she would put mats on top of each other and make do with that. As she had the intent to succeed, the external conditions didn’t really matter. Karmakar’s father used to work for the Sports Authority of India and wanted her to get into sports. He believed that Karmakar’s build, personality and restless energy would help her excel at gymnastics, a sport that he himself had previously given a shot. Being reluctant to learn gymnastics in the beginning, Karmakar was eventually convinced by her father. Karmakar began her training with Soma Nandi, a national-level gymnast. In her first gymnastics competition, Karmakar competed without shoes and borrowed an oversized costume. She went on to win the gold medal on the balancing beam at the Northeastern Games in 2002. Soma Nandi then took the little champ to her husband, Bisweshwar Nandi, who was a five-time National gymnastics champion himself. Bisweshwar Nandi was impressed by Karmakar’s dedication, but her flat foot was an issue. Having flat feet isn’t good news for gymnasts, as it affects their landing as well as the spring in their jumps. Nandi consulted some gymnastics experts on ways to develop a curve in a flat foot, but was told that it wasn’t possible. Nandi’s hopes were shattered, but he didn’t stop there. Nandi researched on the ways to overcome Karmakar’s flat foot. He gave Karmakar 9-10 exercises but didn’t let her know that she had flat feet. Karmakar worked really hard on those exercises and after a year of extensive training, her flat foot disappeared, or rather, an arch developed in her feet. Today, Karmakar has compensated for the time she didn’t attend school regularly. She’s a graduate and is pursuing her Masters in Political Science. In fact, she gave her MA exams just after heading back to India from the 2016 Rio Olympics! This is just another example of Karmakar’s high risk-appetite and her level of maturity in prioritising everything in life. Five years after winning that gold medal for the balancing beam in the 2002 Northeastern Games, Karmakar was an evolved gymnast. She excelled at various state-level, national and international championships and has won 67 gold medals (67 in total) since 2007. 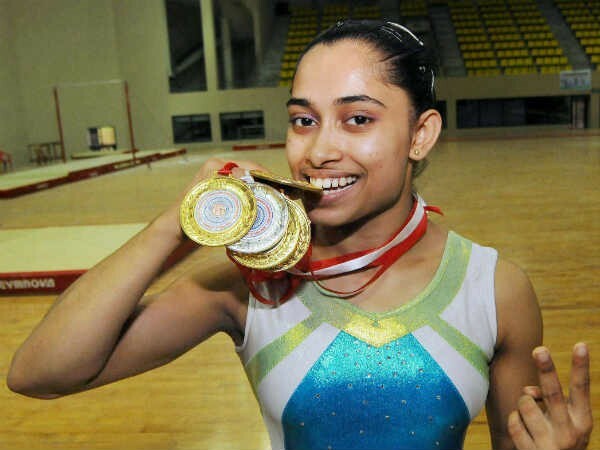 Karmakar also won the Junior Nationals held at West Bengal in 2008. All of this comes from a girl who was afraid of even stepping up on the beam bar. Karmakar started keeping a track of her attempts on the balance beam and it totaled to 127 at the end of the first week. On her ninth birthday, she declared that she won’t cut the cake till she had finished her evening gymnastics practice. Until the 2010 Commonwealth Games in Delhi, she had been practising with irregular-sized landing mats. This goes on to show the level of intent Karmakar had to overcome all odds. Representing Tripura at the 2011 National Games, Karmakar won gold medals in all the events — balance beam, floor, vault, uneven bars and all-around. Her inspiration at that time was Ashish Kumar’s bronze medal at the 2010 Commonwealth Games held in New Delhi. Dipa had also been a part of India’s contingent at the Games, but had been unable to win a medal. She made sure that didn’t happen in the next Commonwealth Games in Glasgow. 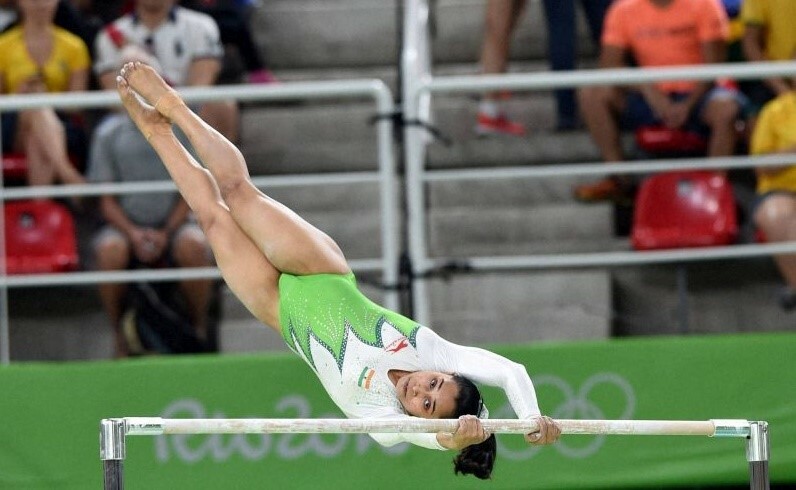 Karmakar had found it extremely difficult to reach the international stage, but her “life changed after the 2014 Commonwealth Games” where she won the bronze medal. She was the first Indian woman to do so, and the second Indian after Ashish Kumar. 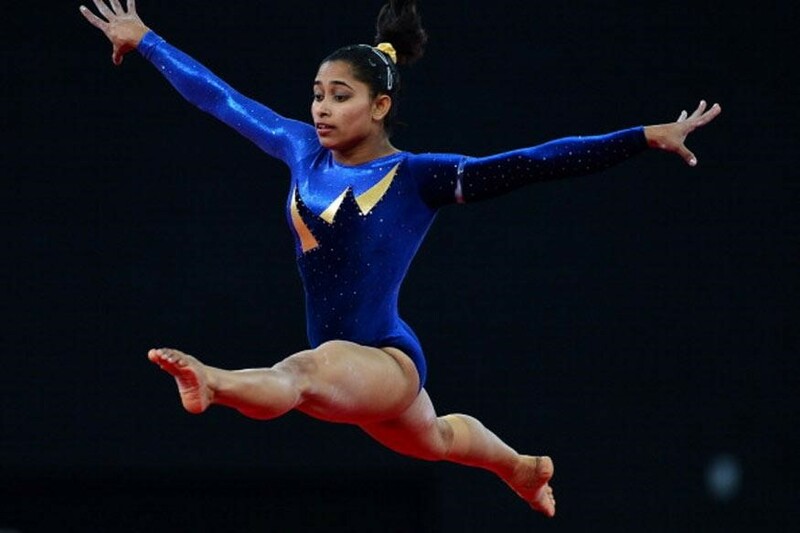 Karmakar had trained without equipment for eight months prior to the 2014 Games, before a training camp was arranged. On the day of the finals, Karmakar’s leg was badly swollen. Everyone advised her against doing the vault but she was adamant on taking that risk. It was her only hope to be eligible for a medal. At the 2014 Asian Games, she finished fourth in vault behind two Olympics medalists and a World Championships medalist. What has been more commendable is Karmakar’s quality of not complaining about the lack of facilities or help from the Sports Ministry in India. Endless belief in herself and her coach has always been enough for her. The major reason behind Karmakar winning the bronze medal at the 2014 Commonwealth Games was the Produnova vault. The Produnova is an artistic gymnastics vault consisting of a front handspring and two front somersaults. It is the hardest vault performed in women’s artistic gymnastics, with many prominent gymnasts hesitating to attempt it, including star gymnast Simone Biles from USA. Karmakar became the third woman in history to land the Produnova, a vault that has been successfully completed by only five women till date. Every attempt at the Produnova doesn’t only risk the gymnast being paralysed, but also puts her life at risk. If it goes wrong, it can break the spine and the neck, to begin with. Karmakar had practiced the Produnova at least a 1000 times before the 2014 Games. Karmakar finished 8th on the balance beam at the Asian Games in Hiroshima. She bagged the bronze medal in the women’s vault, with the help of a training camp being provided at home. Karmakar was conferred with the Arjuna Award by the Republic of India, and she also became the first Indian gymnast to qualify for a final stage at the 2015 World Artistic Gymnastics Championships. Owing to the lack of a gymnastics federation in India, Karmakar had gone eight months without practice before the Championships. Thereafter, she learned the Tsukahara vault in three months, something her peers had been doing for at least three years. Nonetheless, Karmakar finished fifth at the World Championships. In 2015, Karmakar has failed to secure a ticket to the Rio Olympics owing to a fifth place finish at the World Championships. But she got a second chance when the Gymnastics Federation of India sent her for the 2016 Olympic Test Event that was the final qualifier for the gymnastics events at Rio. Karmakar became India’s first female gymnast to qualify for the final vault event at the Olympics. Having qualified at the last moment, she had only three months to get things together. Despite the short time given to prepare (as opposed to her opponents who had been preparing for Rio Olympics for years), Karmakar successfully pulled off the death-defying Produnova vault once again. Karmakar missed the bronze medal by a whisker, attaining 4th position in the Women’s Vault Gymnastics event of the 2016 Summer Olympics. The gymnast who came third had a total score of 15.216 while Karmakar scored 15.066. Karmakar’s coach, Bisweshwar Nandi, felt that not having a manager at the Olympics was unfortunate, as they would have otherwise appealed to the panel for a better score (for a perfect landing) in Karmakar’s second vault. Karmakar’s earlier request for a physio also went in vain, as the physio was rushed to Rio only after she had qualified for the finals. 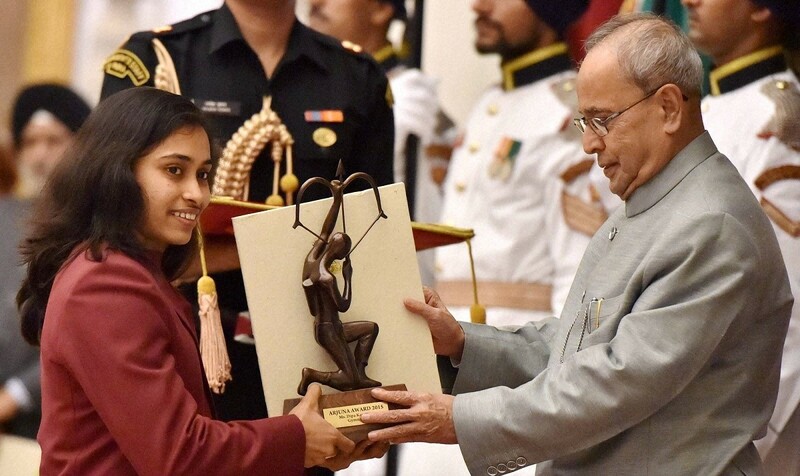 Karmakar was conferred with the prestigious Rajiv Gandhi Khel Ratna award, while Bisweshwar Nandi received the coveted Dronacharya Award for his excellence in coaching. According to Nandi, Karmakar has always been a dedicated student, but can lose her temper sometimes. Rebellion can take us places, isn’t it? Indian girls at the age of Dipa Karmakar are usually married off by their parents, especially in states like Tripura. Ironically, the family’s support is one of the most crucial factors in deciding the career of a sportsperson, and Karmakar was fortunate to have that. But it was anything but luck that made her the first female gymnast from India (and the first Indian after 52 years) to compete at the Olympics and receive the Rajiv Gandhi Khel Ratna award, the highest sporting honour given by the Republic of India. Being born in a poor state with flat feet is something that was not in Karmakar’s control. But she did everything else to make sure she succeeds because of her strengths and despite her weaknesses. She preferred not going to an English-medium school so that she could concentrate on gymnastics and compete at the Olympics one day. When she returned from the 2016 Rio Olympics, she gave her exams for her MA in Political Science. Everything falls into place when we are focused and have the intent to succeed, just like it was with Sania Mirza’s career story. And lastly, we learn that blaming our country’s infrastructure might not be as helpful as excelling at the sport and giving the country a reason to improve it.